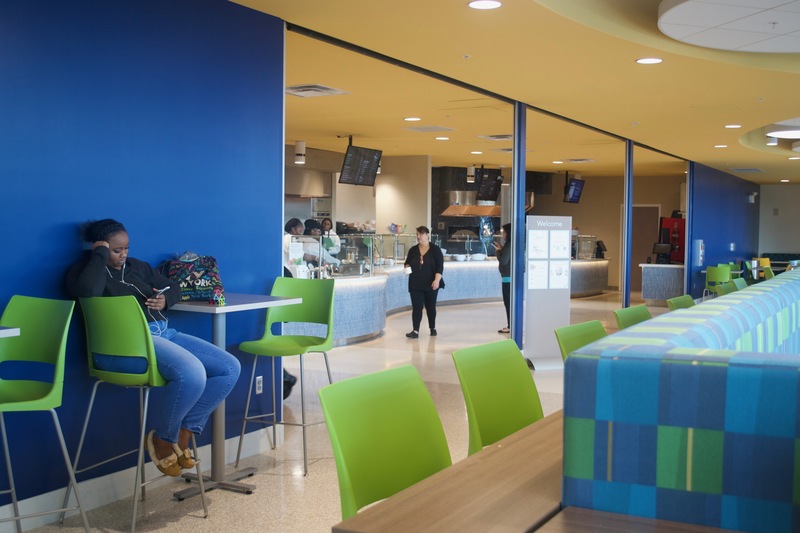 With a food court, book store and college administration offices, Sanford/Lake Mary’s freshly opened Student Center swarmed with activity during opening week for the spring semester. 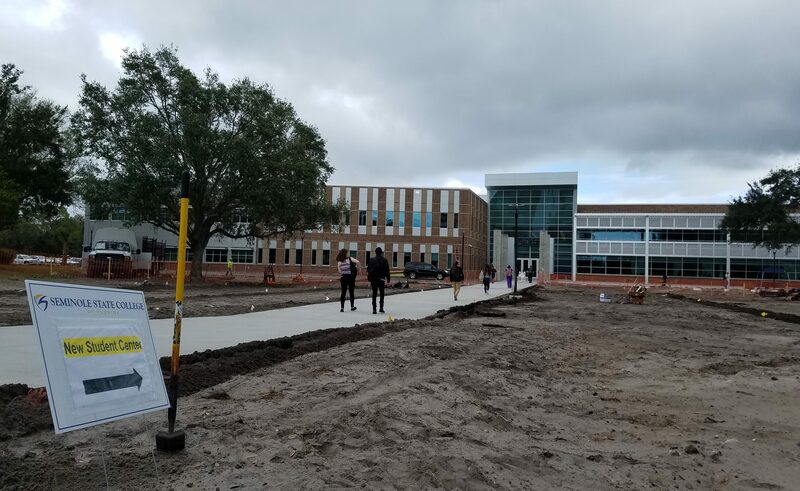 The new center officially opened Jan. 2 as a “comprehensive destination” for students, according to a news release from Seminole State. “The energy-efficient, two-story, 77,000-square-foot building supports Seminole State’s vision of being a student-centered college by serving as a one-stop facility for student services and student life,” the release said. The building houses a Campus Life lounge sponsored by the Orlando Magic Youth Foundation. Other features include a “cyber perch” to recharge devices; a game room with pool, ping-pong and video games; a multi-purpose room for student activities and organizations; a Barnes & Noble bookstore; a food court; lounge spaces and a coffee shop serving Starbucks. Student academic needs are also located in the new center on the east side of the Sanford/Lake Mary campus. Offices within the new building include Academic Advising and Counseling, the Career Development Center, Disability Support Services, Financial Aid, ID Card Services, Student Accounting/Cashiers and a Student Copy and Print Center. The second floor holds the Campus Life suite, which includes the Office of Student Life, Intramural and Recreational Sports, and the Generation Freshmen Office. The second floor also houses Admissions and Recruitment, Assessment and Testing, the Baccalaureate Office, Enrollment Services, the International Student Office and Veterans Affairs. Some students found the first week confusing and crowded, but initial impressions were mainly positive, especially from employees. The new building was designed to Green Globes standards, according to the news release. That will save on operating costs through lower electric and water bills as well as increased recycling. Green Globes standards are part of The Green Building Initiative, which aims for a sustainable built environment. The nonprofit organization based in Portland, Oregon, promotes building practices that emphasize energy efficiency, health and environmental sustainability. The College will dedicate the new Student Center to all past, present and future Seminole State students in a celebration on Friday, Jan. 19 at 9 a.m.